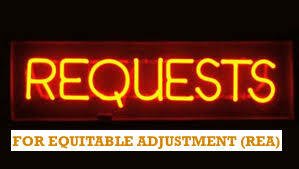 DOES YOUR REQUEST FOR EQUITABLE ADJUSTMENT (REA) COMPLY WITH THE CONTRACT DISPUTES ACT? Under the CDA [Contract Disputes Act], the Court only has subject matter jurisdiction over a contract action against the Government if the action is filed within twelve months after receipt of a contracting officer’s final decision on the claim. Therefore, both a contractor’s claim and the contracting officer’s final decision on that claim are jurisdictional requirements. Logically, there can be no contracting officer’s final decision on a claim if the contractor has not requested such a decision from the contracting officer. A request for a contracting officer’s final decision need not be explicitly labeled as such. For example, an REA under certain circumstances can be construed as a request for a contracting officer’s final decision. However, a request for a contracting officer’s final decision must, at minimum, be a written demand that includes (1) adequate notice of the basis and amount of a claim and (2) a request for a final decision. Zafer Taahut Insaat ve Ticaret, A.S. v. United States, 2016 WL 7176723, *3 (Fed.Cl. 2016) (internal quotations and citations omitted). In Zafer Taahut Insaat ve Ticaret, a contractor submitted an REA for unanticipated costs in incurred on a foreign construction project. In the REA, the contractor simply asked the government to review and evaluate the REA at the earliest convenience. The REA was not sent directly to the contracting officer. The government did not pay the REA and the contractor filed suit in the Court of Federal Claims. The government moved to dismiss the lawsuit based on the contractor’s failure to comply with the Contract Disputes Act. The Court granted the motion to dismiss because (1) the REA was not sent directly to the contracting officer and (2) the REA did not request the contracting officer issue a final decision under the Contract Disputes Act. Hence, the Court did not have jurisdiction to resolve the claim. A prime contractor submitting a subcontractor’s pass-through claim MUST still comply with the certification requirements in the Contract Disputes Act. And, the prime contractor cannot sponsor a pass-through claim unless it remains liable to the subcontractor for the claim, a doctrine known as the Severin doctrine based on the decision Severin v. U.S., 99 Ct.Cl. 435 (Ct.Cl. 1943). These are important concepts for a prime contractor and subcontractor to understand and appreciate on federal projects. 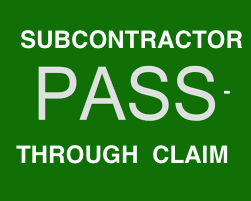 (D) the certifier is authorized to certify the claim on behalf of the contractor. The certification of the claim is defective if it does not include these four elements (set forth in (A) through (D) above). However, if the certification is defective, this can be cured prior to final judgment by a court or a final decision by a federal agency. See M.K. Ferguson Co. v. U.S., 2016 WL 1551650 (Fed.Cl. April 14, 2016). On the other hand, a failure to certify (versus a defective certification) cannot be cured meaning the contractor has not submitted a proper claim under the Contract Disputes Act. Id. (2) the Severin doctrine generally requires an ‘iron-bound release or contract provision immunizing the prime contractor completely from any liability to the sub. In this matter, a soil remediation subcontractor submitted an REA to the prime contractor for approximately $3 Million associated with the prime contractor’s standby and additional work directives. The subcontractor claimed that most of the REA was unrelated to issues caused by the owner, but rather, caused by the prime contractor. The subcontractor and prime contractor agreed to a mutual termination of the subcontractor and the subcontractor reduced its REA to approximately $1.1 Million (to include only incurred costs versus anticipated costs). The prime contractor then submitted a change order request to the federal government. The subcontractor shortly thereafter sued the prime contractor and its Miller Act payment bond surety. The prime contractor and its Miller Act payment bond surety moved to stay the lawsuit pending the completion a Contract Disputes Act resolution and, if required, completion of arbitration thereafter. The subcontractor did not oppose staying its Miller Act payment bond claim pending arbitration with the prime contractor, but opposed staying the case pending the resolution of the prime contractor’s Contract Disputes Act claim. However, the subcontractor acknowledged that claims attributable to the federal government are passed through to the government and that the subcontractor shall not maintain any proceeding against the prime contractor with respect to government-related (owner) claims until resolution of Contract Dispute Act claims. Moreover, the subcontract provided for the completion of the Contract Disputes Act resolution process between the prime contractor and federal government before the subcontractor could maintain any proceeding against the prime contractor in connection with any omission, default, or act by the federal government. The economic strain of awaiting resolution of the CDA procedures between Defendant Bhate [prime contractor] and AFCEC [federal government] is, while burdensome, still a reasonably foreseeable event under the Subcontract. Furthermore, denying the Motion to Stay and allowing this matter to proceed would bifurcate the matter, creating parallel proceedings involving many of the same facts and witnesses. Additionally, it could potentially force Defendants [prime contractor and surety] to take inconsistent positions in the simultaneous proceedings, supporting Plaintiff’s claims against AFCEC while defending against them in the arbitration between the parties. An order staying this matter is supported not only by the contract, but also the promotion of judicial economy and efficiency. Bhate Environmental Associates, supra, at *4. This is undoubtedly a harsh ruling for a subcontractor that is now forced to wait a potentially long time while the prime contractor participates in the Contract Disputes Act resolution process. While harsh, the subcontractor agreed to bear this risk in its subcontract. And, from the Court’s rationale, even if the subcontractor did not bear this risk, the Court still found that staying the subcontractor’s claims promoted judicial economy since it prevented the prime contractor from dealing with simultaneous disputes (one with the subcontractor and another with the federal government) and taking inconsistent positions. From the prime contractor’s perspective, this language that requires the subcontractor to bear this risk and stay any dispute pending the outcome of the Contract Disputes Act resolution process is extremely important language (based on the precise reasoning by the Court quoted above). 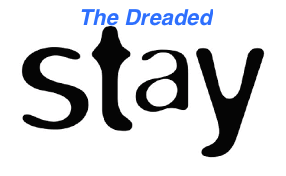 From the subcontractor’s perspective, this reinforces the notion that it is imperative for parties to appreciate the risks they are agreeing to in their contracts, particularly as it relates to the resolution of disputes. Also, this reinforces the risk that a subcontractor performing federal construction work may have to bear irrespective of the subcontract. Although the subcontractor is now in a wait-and-see mode while the Contract Disputes Act process runs its course, the subcontractor was smart by perfecting its Miller Act payment bond rights by timely filing suit. Even though the prime contractor’s Contract Disputes Act resolution process may take some time, the prime contractor and its payment bond surety will ultimately have to deal with this dispute if the outcome of its Contract Disputes Act claim does not fully resolve the subcontractor’s claim to the subcontractor’s satisfaction. The case of Ground Improvement Techniques, Inc. v. U.S., 2015 WL 4603693 (Fed.Cir. 2015) is an interesting case that highlights the impact of a contractor filing for bankruptcy during a construction dispute. In this case, a subcontractor was terminated for default on a federal project. The subcontractor sued the prime contractor for wrongful termination and during the course of the litigation filed for Chapter 11 bankruptcy. Once the subcontractor filed for bankruptcy, its claims against the prime contractor became an asset of the bankruptcy estate. The subcontractor’s Reorganization Plan in the bankruptcy stated it will assign its rights and claims in its litigation against the prime contractor to certain secured creditors. The subcontractor’s secured creditors then continued the litigation against the prime contractor, obtained a judgment, but then the prime contractor filed for bankruptcy. During the administration of the prime contractor’s bankruptcy estate, the subcontractor was ordered to submit a certified claim in the name of the prime contractor to the contracting officer (per the Contract Disputes Act). The subcontractor received no response (to its pass-through claim) and filed a lawsuit against the federal government in its name. There were two issues raised in this action against the federal government. First, the subcontractor was no longer the real party interest that possessed claims relating to the project by virtue of its bankruptcy. Such rights and claims had been assigned to its secured creditors that became the real parties in interest. 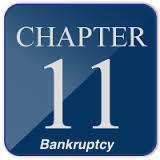 When the subcontractor filed for bankruptcy, its assets, inclusive of its claims, became part of the bankruptcy estate. The subcontractor’s Reorganization Plan stated it will assign such rights and claims to its secured creditors; thus, the Reorganization Plan clearly transferred the subcontractor’s claims to its secured creditors meaning the subcontractor no longer owned the very claims it asserted against the federal government. Second, and unrelated to the bankruptcy, the subcontractor could not sue the federal government because it was not in privity of contract with the government. “Because a subcontractor ordinarily lacks privity with the government, the Court of Federal Claims generally lacks jurisdiction over claims brought by a subcontractor against the government….” Ground Improvement Techniques, supra, at *7.